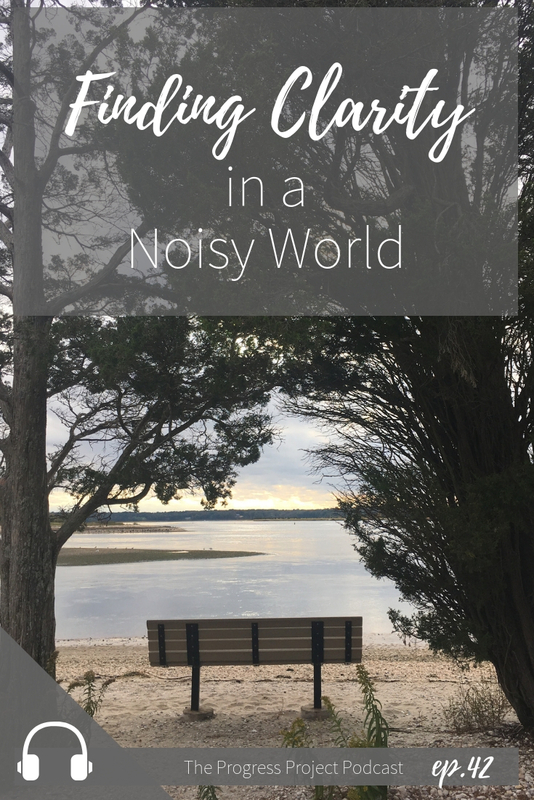 Have you been feeling like the noise of the world is just so loud that it’s hard to hear yourself think? We’ve been feeling like that too. So we took a break from social media and other distractions we each struggle with and this episode is the result -- what we learned and what we’re doing moving forward to find clarity and quiet in a noisy world. Use the Mantra “Not Necessary for My Happiness” to get past any urges or distractions that come up throughout the day. Try to discern WHY you are being pulled to the distraction. Is it to mask some emotion you don’t want to feel? Use it as an opportunity to resolve a deeper issue and see what’s really going on behind the urges to do these things. The more you give in to urges of distraction or avoiding unpleasant feelings, the more you realize it’s never enough. Bonus Episode: You can check out our Bonus Episodes in our shop or get the each month when you support us monthly on Patreon. Be sure to check our brand new online shop!! You can find so many great products including our Mini Courses on, “Healthy Living & Developing True Confidence” Plus there’s even some FREE stuff in the shop! We can’t wait for you to find something you love! Click HERE to get window shopping!